Robotics theory and applications, Automation and scheduling of production system, Home automation, Computer vision, Virtual reality, Nonlinear control, Adaptive control, Visual tracking and servo, Magnetic levitated system control, Mechatronics. Fu, L.-C., “Fuzzy Control of Nonlinear Systems and Robotic Application,” Advance on Nonlinear Systems and Nonlinear Control Summer Workshop, Beijing, July, 2000. Fu, L.-C., “e-Manufacturing---A Total Solution for Due-date Prediction,” e-Operations Symposium, MITD, TSMC, December, 2003. Fu, L.-C., “Intelligent Flexible e-Home: Past, Presence, and Future,” The 13th Automation Technology Conference, June, 2004 (Keynote Speaker). Fu, Li-Chen , “Advanced Visual Tracking with Bayesian Filter,” Dept. of Electrical Engineering and Computer Science, U.C. Berkeley, July, 2004. Fu, Li-Chen, “Communication and Cooperation among Multiple Mobile Robots,” Symposium on Mobile Robot Technology,” December 9, 2005, Taipei. Fu, Li-Chen, “Computer Vision Based Driver Safety Assistance System,” Symposium on Development of Active and Passive Safety System of Advanced Vehicles, Taipei, Taiwan, July 28, 2006. Fu, Li-Chen, “Advanced Applications of Computer Vision Technique to Our Living and Transportation,” Symposium on Application of Information Science and Technology, Keelung, Taiwan, August, 2007 (Keynote Speaker). Fu, Li-Chen, “Intelligent Robot Development-Social Robot/Ambient Intelligence,” International Workshop on Intelligent Robot and Embedded Software(IRES), Gyeongju, Korea, 2008. Fu, Li-Chen, “Real-Time Visual Surveillance with Active Camera,” SICE Annual Conference, Fukuoka, Japan, August, 2009. 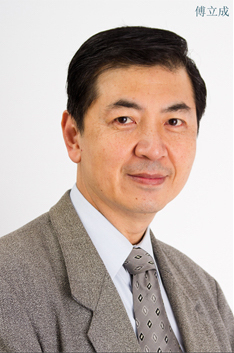 Fu, Li-Chen, “Next Generation Atomic Force Microscopy: Technology & Application,” The 22nd Iranian Conference on Electrical Engineering, Tehran, Iran, May 2014 (Keynote Speaker).